Pakistan's establishment, both military and the spasmodic civilian ones, in the last sixty years, have enslaved the mindset of the Pakistani masses in an intense hatred of India. India in all these years has been painted in lurid colors as a country bent on the disintegration of Pakistan and its re-absorption in India proper. The Pakistani masses of successive generations have been led to believe that the devious Hindus cheated Pakistan and deprived it of Kashmir. 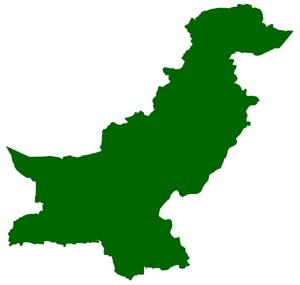 The failure of successive Pakistani military rulers to provide stable governance, political stability and economic development is also blamed on India for keeping Pakistan under siege and therefore the requirement of diverting exorbitant financial resources from social development to maintaining an outsized Pakistan Army and its nuclear weapons and missiles arsenal. The result of these sixty years of Pakistan's existence as a 'garrison state' where the Pakistan Army has gone in for military coups, every time democracy was about to strike roots, is that Pakistan's future seems dismal. Pakistan's future, if it seems dismal, is not due to any diabolical Indian designs to fragment Pakistan. Pakistan has been brought to its present dismal state, because of the megalomaniac obsessions of its military rulers and its bureaucratic elites, of imperial pretensions of harking back to Mughal grandeur and the divine right of Muslims to rule Hindustan. Pakistan in these sixty years of its existence has been in a constant 'state of denial' about its strategic asymmetries with India. To redress the existing asymmetry it has resorted to balance India by offering itself as a 'rental state'( in the words of a noted Pakistani analyst) to USA and China. Pakistan has not succeeded in this game as despite Pakistan acting as a regional destabilizer it has failed to arrest India's emergence as a regional power and a key global player. At the beginning of the 21st Century the stark reality is that India is on an ascendant curve towards remarkable economic growth whereas Pakistan continues to be in the mire of a 'garrison state' and a 'rental state'. It cannot survive without an American economic life support system and military support of China. By no stretch of imagination can this be termed as the attributes of a nation with imperial pretensions. It is now becoming evident to the Pakistani masses that their military rulers have led them to this dismal state of affairs, when they compare India's relative progress in all fields to their own. Indians, by and large, desire a stable and 'DEMOCRATIC' Pakistan, secure both within and without. India has never officially or clandestinely organized any hate campaigns against Pakistan. India's aim all along has been to make stride towards its destined emergence as a key global player within a democratic framework and bridging its cultural , religious and ethnic diversities; and all this without being distracted by the propensity of Pakistan's military rulers towards military adventurism against India. India has an overwhelmingly large peace constituency which is hyper-active in promoting peace with Pakistan. Within India, a distinction is dawning in differentiating the Pakistani establishment's propensity for conflict with India. (using terrorism tinged with religious hostility as tools of state policy) and the growing yearning for peace of an enlarging peace constituency in Pakistan. Pakistan's failings and its dismal state of progress are not of India's making. The bogey of an Indian threat has been manufactured by the Pakistan Army Generals to provide a pretext to stay in political power in Pakistan and all that goes with it financially for them. India has gone out of the way to promote peace with Pakistan, not from a position of weakness but from a confidence of its inherent strengths and a firm conviction that a stable and democratic Pakistan is in its own interests of having a stable neighborhood. A democratic Pakistan devoid of military control by Pakistan Army Generals is the only solution for Pakistan to wade away from the muck that its military rulers have placed it in, including the present one. If Nepal within a span of few weeks could dramatically replace the existing order and usher in democracy with peoples power, what holds back the dynamic people of Pakistan ?